Best mobile car detailing to deal with in town. Very easy to book an appointment online from start to finish. Amazing guys arrived at my home today as promised and started to clean my car without any extra questions. You can tell this guy's r real professionals. very happy with it. The staff at auto detailing pro was very knowledgeable. the first time they came out to my office to do my vehicle after a winter season and i love it such a nice feeling to seat in my new looking car . I will definitely hire them again. My vehicle needed the love and an professional touch throughout. i can't thank this company enough for doing such a great job. Had great experience with auto detailing pro. My car interior looks brand new and price was very reasonable. Best of all so convenient as they cleaned the car while I’m working at home. Highly recommended and will use them again in the future. I’m a professional and a parent. I thought of bringing my car to a shop and pay $50 less, but I’ll have to sit there and waste my time. instead I thought I could just call Alex and Viktor to come over to my work place and get my car spotless cleaned and save time. How convenient is that? And indeed, 2.5 hours later my car was showroom ready! Perfect!After work I went to pick up my son at the day care and the first thing he said when entering the car was: wow did you buy a new car?I highly recommend Auto Detailing Pro and I will definitely use them again next time! Absolutely gorgeous customer experience from start till end of the whole process. This guys definitely knows how to make customers happy and satisfied. Not cheap but worth the quality of work they're offering and hassle free.my car looks and smells like brand new from the dealership.Recommend it to all. I booked for a winter clean-up. Very thorough interior cleaning. All of the salt and grit was removed! Great customer service too. Price is definitely not cheap, but it is reasonable compared to other services. Very convenient to have this work done in your driveway while you attend to other matters! We plan to book another appt. in a couple of weeks for our second car. Highly recommended. Exceptionally friendly and superb quality. They did my wife's car yesterday and it's came up absolutely spotless. Thank you guys for making my wife's car clean and spotless as she wanted. Definitely met my wife's expectations.Will be in touch in couple months to get my cat detail by this amazing Company. Wow what an amazing service! My car was embarrassingly dirty. Auto detailing guys didn’t bat an eyelid, no judgment from them just exceptional work. I can’t believe how good my car looks right now. 8 years of dirt was removed from the inside and out from the comfort of my own house right on my driveway. It will now be a pleasure to drive my car. Definitely worth every dollar and more. Thank you so much!!! Amazing work! They removed stains that I thought couldn’t be removed. Best part is, they came to my home to do it so I didn’t have to deal with dropping off/picking up! Very happy with the results and would recommend to anyone looking for a quality detail. Also, it was $50-$75 cheaper than other detailing shops that I checked. Awesome job by the very friendly team at auto detailing pros. Very thorough from top to bottom. Car looks immaculate. My mother-in-law says the car looks better than when we got it new! Bargain for the price and will definitely use these guys again for any future detailing.try their services you will not regret. Wow! i was surprised when i called yesterday to find out if this company still provides mobile services in January spoke with a very nice gentleman on the phone about my car to be detailed and guess what One of the best detail jobs I've ever had. Viktor and his co worker showed up on time this morning and was detailing my car for three hours. Absolutely beautiful! Boy, he's talented. I would recommend auto detailing pro to anyone! Thanks Viktor for making my car brand new again! definitely going to spread a word about this company. Find this company on google and call them based on the amazing reviews spoke with Alex and he sent over a crew to my shop. All his workers are very polite and clean and organized and finished the work in a timely fashion. Would recommend to anyone looking for auto detailing in town. Very convenient and professionally done. Got my car detailed yesterday by this company after they had to reschedule twice my appointment during the weather conditions. Honestly it was worth it to wait. My car turned like new again after the boys was done. Definitely going to recommend theme to everyone. Thank you auto detailing pro for making my car spotless. They did a fantastic job on my car inside and out. The vehicle was going being prepared for sale so it was really important to make it look like new, and they did just that. The guys were punctual and efficient. Also, the customer service was excellent. I had a few back and forth exchanges about some minor issues and Alex was very responsive and helpful. He went out of his way to correct the issues and clearly cared about making his customer happy. 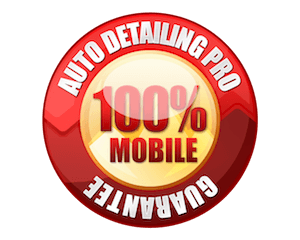 I had a great experience with Auto Detailing Pro! I emailed last minute to see if I could get my car cleaned the next day and they responded first thing in the morning. They were able to book me for that afternoon and being 100% mobile, they cleaned the car at my home. They worked very hard to remove all the dirt and stains from the seat fabric and the car is looking great. The price was great for the amount of work that was done! Thank you for your quick and great work! Best mobile company out there. I was very impressed after my car was detailed. Defenetly exceeded my expectations. this guy's worked very hard on my car in order to bring it back to new condition. Now my car looks amazing and shiny. Thank you auto detailing pro for making my car presentable and clean. Alvin worked on my vehicle and did an amazing job with it. I got the interior shampoo package. I had really bad salt stains sitting for about 2 years in my carpets and he got it all out. My car looks like new again inside thanks to the great job he did. I would definitely recommend Auto Detailing Pro, they respond to you fairly quickly and the prices are fair for the service you are getting. They are definitely my go to now for detailing needs! Car was excellent!! They got all the little corners and spots everyone else forgets. Jay was great and definitely would use the service again. Great website and appointment app too, very very professional and convenient. Couldn't think of anything else that could have made the service better so 5 stars! I was able to communicate by text and send the location. They didn’t need electrical or water hook up so where able to come my location! The guy came and did a great job!! Many people walked by and asked about the service and took pictures of the number on the van. So convient and squeaky clean, thanks!! Very detailed cleaned throughout inside and out looks AMAZING.the booking was fairly fast and super easy. very reasonable prices. Also, their customer service is very friendly and accommodating. I will definitely be coming back! The best detailing company in town I've call theme to inquiry about my car to be detailed but was not 100% sure what package should I choose. spoke with Alex on the phone and he was extremely professional and explained to me about their packages and helped me to choose the right package that fitted for my car.the crew arrived on time as it was scheduled and promoted with the high quality work on my car.Will definitely using their servers in the future. These guys are great. Responsive communication when emailed or text, though their live chat through the website was a bust. They were very flexible to my needs and came to detail my truck at work. Alvin arrived well prepared and self sufficient - no need to plug in to water or power. They gave me a fair price on some cleaning in the box area that needed extra attention. Very happy with their work - will use again! Excellent job done by Jay. The whole process took a bit longer than expected (almost 4 hours vs 1.5 - 2 hours as expected), however the job was obviously thorough and the vehicle came a long way from start to finish. Not cheap after pet hair fee but worth doing every now and again. Would recommend. The guys next door had their house painted and the painters got overspray all over my car! I called a few detailers but none of them seem to be as knowledgeable and straight forward as Alex. They came to my house with all the necessarily equipment and a crew. Very professional company. The price was very reasonable. great job! I would recommend anybody that needs any detailing give them a call first. Thanks Auto Detailing Pro again for saving my car. Auto Detailing Pro just finished my SUV. What a great job! They were on time, very courteous and fussy. I am also very fussy and I did point out a few spots that I asked them to go over. They did so with a positive attitude and we’re proud of their work. I had asked for the top of the line New Car Experience. And it really does look and feel like a new car. I will be hiring them again. I was very pleased with the service I received and the quality of work done to my vehicle. I had the vehicle clay barred and waxed from top to bottom which really brought back the shine and deep gloss , I also had the seats deep cleaned and was impressed by how much dirt was lifted from the seats. Overall I highly recommend and will be using auto detailing pro again in the future. Great customer service and top notch work! The crew showed up at my house next day even 20 minuets earlier then was promised and promoted with a new car package on my 2017 porsche 911 and also fixed my small dent on a passenger door less than 40 minutes. high end and super professional services. will definitely be using their services from now and in the future. They did an awesome job in just over an hour with a car that hadn't been properly cleaned since it was purchased. They were efficient, effective and took great pride in their work. Thank you for your time and attention. I will definitely be back and will recommend to anyone. They came to my house same day amazing service would defiantly recommend to family and friends. Best detailing company in town and prices compared to others. Try them you won’t be disappointed. I am very picky with my cars and there service was amazing. Would only trust them with my cars over anyone else. The guys did a first class job detailing our vehicle. It looks better than when it was new. They were friendly, professional, and efficient. 100% recommendation to anyone looking for the best mobile detailing service in the GTA! Best mobile auto retailers ever! The guys conveniently showed up at my office on time, spent almost 2hrs meticulously making the inside of my car look like new again. 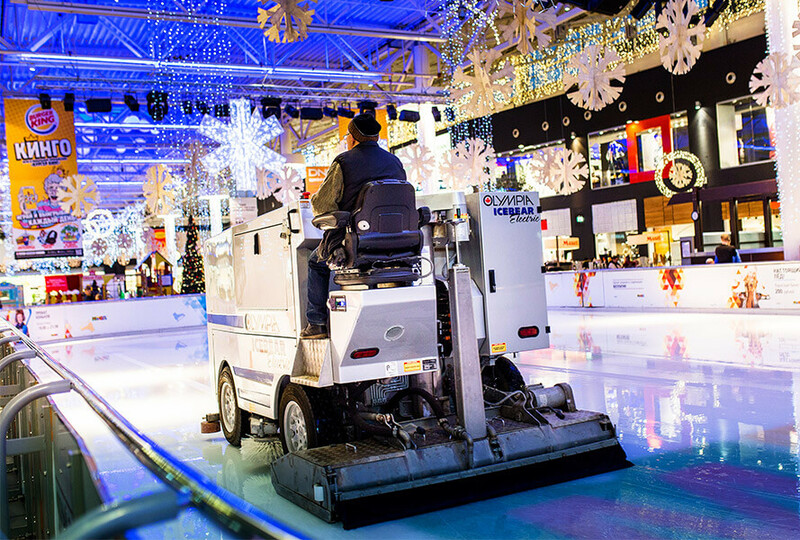 The most impressive part was how they got rid of the caked on winter salt deposits. Never thought those would come out! Even the boss at my office came out to see this service I had contracted and was pretty impressed by the van loaded with all the gear required to detail cars and vans, suv's etc. The guys were super professional and went above and beyond to make sure they covered all my requirements. I will definitely use Auto Detailing Pro again (to do my wife's car) and refer them to friends and family. Great job and keep up the good work!! I just wanted to say that from start to finish. we had excellent customer service from the start of arranging the appointment over the phone, all follow-up communication by text as well as the actual servicing of the vehicle, then after work on vehicle was complete they texted me to make sure we we're happy with the service.I also wanted to comment that the weather was unpredictable and rainy and they still came as arranged to my husband's place of business I might add how much more convenient can you get than that? no having to drop off, wait around or find something to do while your vehicle is being done. ,punctual, quick and very professional service. Thank you! Absolutely amazing service. The guys did a thorough job inside and out. My car hasn't looked this nice since I first bought the car. For anyone with children this is a must. Highly recommend them. Best part you don't have to leave your home! Fair prices and quality work. Nothing beats that.Don't hesitate call them today. You won't be disappointed. WOW, just had my vehicle detailed and it looks amazing....it actually looks better than the day I picked it up from the dealership (4) months ago. I got the Showroom Ready package and my vehicle was cleaned within the 1.5 hrs. and it was polished from top to bottom, inside and out. I was not able to find anything that was missed. Excellent job from Victor and his crew. I definitely recommend using and will definitely use again, because they went above and beyond. Keep up the excellent work and thank you so very much! These guys were amazing at cleaning my BMW 740I. I requested the new car package The crew responded immediately and began work right away. After the detailing I couldn't recognize my own vehicle. Top notch work tremendous attention to small details there wasn't a crack in the car these guys didn't clean AMAZING!!!!! Called them up, just bought a new 2018 430i BMW, and I wanted to get it sparkling, as it came off a train from Vancouver. After chatting you could tell, they were interested in your business. Great in terms of booking, timing price.. a great experience. To top it off, the guys even fixed a couple scratches no charge, so I'm def I repeat customer. Highly Recommend ! I recently bought my first brand new car (A 2017 Subaru Impreza) - and I was automatically concerned about keeping it clean and well maintained as the months go by. I looked at almost every website online (including social media pages and Youtube channels) trying to figure out which to contact.I ended up contacting Auto Detailing Pro, booked an appointment and I am happy about it.It is very convenient how they show up anywhere you request with all the equipments in the back of a Caravan. They were professional, respectful and easy to talk to. They did a great job on my car and made sure everything was OK before processing the payment. I will use there services again. Called them to come clean my summer ride.They showed up on time did an incredible job with everything.It was just like my car was coming off the lot from the dealer.I will bring them by once a month now to clean her up.Love them my new go to. I found this company via Google. I appreciated that their website provided a detailed description of the services that were offered in each package. This was a major deciding factor when I was comparing detailing companies. Very easy service to use. Victor & his coworker were running a little late this morning but he called to inform me that he would be here shortly. As soon as they go here, they got straight to work and provide all of the cleaning material (including water). It's been about two years since I have had my car cleaned in about two years but I will be sure to call them when my car needs a pick me up. It looks so shiny and new now. I'm very happy with the service.I got my interior, exterior and engine cleaned for a reasonable price. It took about two hours. I have already told my family that they are not allowed to eat in the car b/c I want it to stay as clean as it is right now.My neighbour was also impressed by the job that was done that he is planning to book an appointment for his jeep. I found these guys on Google and they came to my door step to detail my car . My experience was amazing. Great customer service. Great work ethic. I spoke with Alex on the phone he was very polite and respectful to me .Victor and his crew showed up 10 mins early ready to go with everything on hand. I will definitely be recommending them to close family and friends and I also will be using them in the future for all my detailing work. Victor did a great job, the car looks and smells better than when we initially bought it. To my amazement, the pet hair was vacuumed up from even the crevices between the seats. I'm happy that I went with this company, solely due to their 5 star ratings as opposed to others that were rated lower. They are 5 star for a reason and give a reasonable price for their exceptional service . The dog smell is definitely gone now and it is cleaner than it's ever been . Thanks once again. Alex was great on the phone, answered all my questions and Victor was on time and efficient on detailing shampooing and deodourizing my car. I was at work and he came and detailed my car there excellent service. 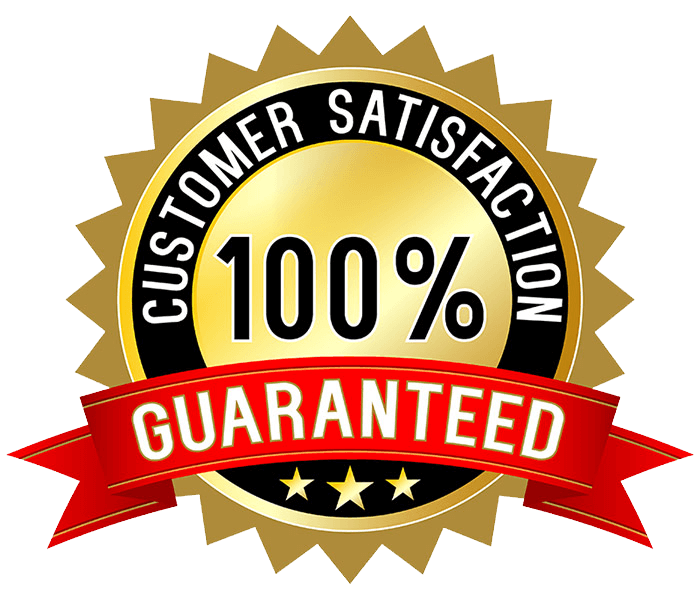 Very honest people and great customer service I will use them again and recommend all my friends and family use them. Thanks guys!!! Fast excellent service! The car looks amazing - like the day i drove it away from the showroom! Victor even continued working through an unexpected downpour to get the job done! I will be a returning customer and would highly recommend Auto Detailing Pro! Thank you very much Auto detailing Pro. I loved it. These guys made my day after I saw my pick up truck sparkling and like brand new again, even better then I first bought it from the dealer .huge WOW and big thanks guys. You are the best mobile service i ever had. They even came with their own water and power supply. Excellent customer care and professional work. These guys love and know how to make customers happy 😊 like my self.I will definitely be going with them again. I will highly recommend your services to all my friends and family. Thank you again Auto Detailing pro. You know how important your appearance is on the local Toronto business scene. But do you pay as much attention to the upkeep and appearance of your main work car also? Interior and exterior car detailing is vital for projecting the right professional business image. At the same time, it’s no secret that accumulated dirt can severely detract from the simple pleasure of driving in the first place. Much more importantly, poor car cleaning and detailing itself, can often lead to a wide variety of fully preventable maintenance problems. Thankfully, at Auto Detailing Pro Inc, we can help you take to the road as professionally and as confidently as possible. This is because our Toronto based mobile car detailing will help keep your car in peak aesthetic condition, whilst also helping you preserve your vehicle’s value for longer in the process. We work around your schedule, never leave our clients less than 100% satisfied, and our valets and car detailing professionals can make even the most visually neglected vehicle feel like new again. Car detailing in Toronto isn’t just about keeping your car as visually road worthy as possible. Every day, exterior dirt, common air pollutants, and corrosive bird droppings attack car and truck bodies. Cumulatively these attacks lead to expedited paint peeling, rusting, and even microscopic pitting of vehicle bodies themselves. Thankfully, regular car detailing and car cleaning can help prolong your vehicle’s visual roadworthiness. This is because regular waxing and polishing can maintain the integrity of your paintwork by attending to scratches, scuffs, and minor signs of corrosion, as such problems become apparent. Our expert team arrives at your home, office or anywhere you need us with our full arsenal of auto detailing tools. With our comprehensive interior and exterior detailing packages we can make even the oldest, dingiest car feel like new again! Offering full spectrum truck cleaning and car detailing in Toronto, our mobile clean service isn’t just perfect for local business professionals. This is because, at Auto Detailing Pro, our mobile cleaning and valeting service is just as perfect for RV owners, motor boat owners, and a variety of other vehicle owners in the greater Toronto area. Whether you own a small family car or a fleet of commercial car, we can help. We offer the most competitive prices in the industry and offer custom detailing and express cleaning services which are suitable for all budgets and vehicle types. Let us clean your car, truck, or recreational vehicle using naturally anti-bacterial interior steam cleaning. By using steam cleaning and high power vacuum cleaning on your car interior, we can restore your car or truck cabin to a showroom level of cleanliness, all without any need for potentially health and environmentally adverse chemical detergents. 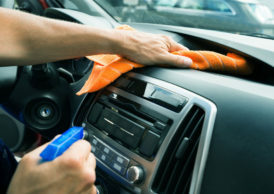 Are you already meticulous when it comes to your interior car cleanliness? If so, you might be looking for a Toronto car detailing who can pay sole attention to the upkeep of your car exterior only. Thankfully, we can provide custom quotes for a wide variety of standalone (or combination) washing, waxing, and interior car cleaning services. Have your car or commercial business car detailing around a time convenient for you, thanks to our 7-day service schedule. 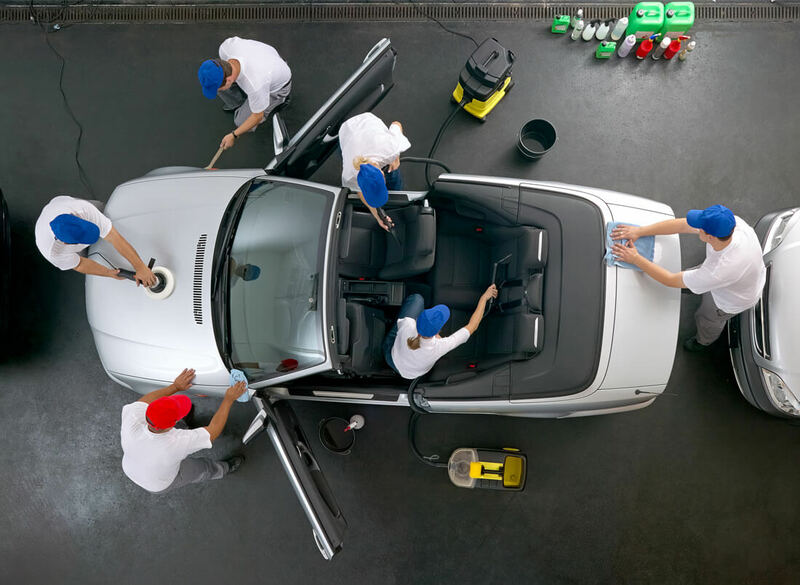 At Auto Detailing Pro, we can schedule mobile interior and exterior cleaning of any car in Toronto from 7 am onwards. All you need to do is schedule a detailing appointment around whenever is most convenient for you and/or your other vehicle users. 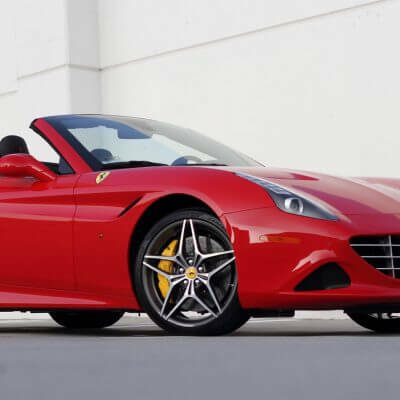 At Auto Detailing Pro, we offer fully mobile car detailing all across Toronto. Whether you are self-employed or operate a fleet of commercial vehicles, we can be on-site with you whenever and wherever you need us to be. This is because our fully mobile car and truck detailing unit is equipped with everything we need to professionally clean your car, regardless of your location. Re-achieve a showroom ready car interior thanks to specialized vacuum and steam cleaning. 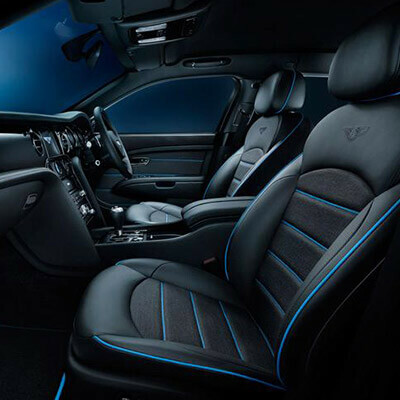 Add a second to none level of cleanliness to your vehicle’s interior thanks to detailing experts who can remove even the most stubborn upholstery stains. 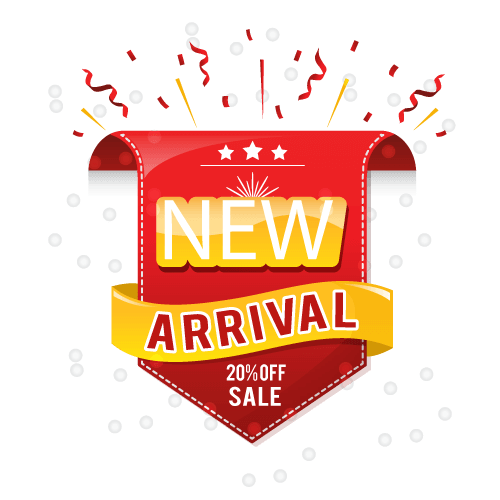 Call now and allow us to revitalize your day to day driving experience thanks to a crumb and stain free cabin which is guaranteed to impress your passengers, as well as add significant resale value should you choose to sell your car. Measure the longevity of your car, truck, or commercial vehicle fleets paintwork in years not months. 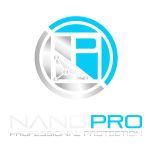 At auto Detailing Pro, we can apply a full transparent nano-ceramic coating to your vehicles paintwork. This coating will not wear off over time like a temporary wax coating. Instead, it will block all common corrosive particles and pollutants. In doing so, we can help your vehicle withstand years of assault from bird droppings and acidic city smog, whilst still appearing as visually vibrant as the day it first rolled out of the showroom. If you are preparing a car or any other kind of car for resale, engine detailing is a fantastic way to ensure that your car looks just as good under the hood as it does in every other respect. 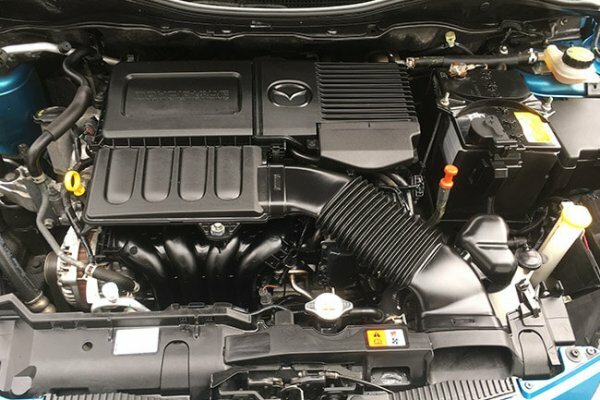 However, professional engine detailing can also help your engine run cooler, as well as identify potential maintenance issues such as wear in rubber hoses, belts, and leaking valve cover gaskets. Scratched, faded, and dull headlights aren’t just detrimental when it comes to the overall look of your Toronto car. 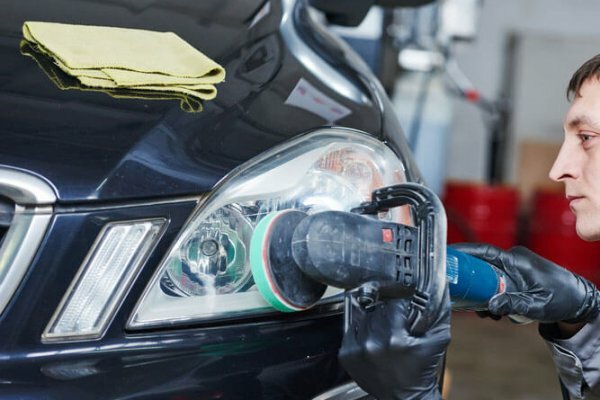 If your headlights have become oxidized and cloudy, our restoration experts can increase your personal level of road safety by restoring your lights to their true full brightness. Of course, headlights will occasionally need to be replaced, however, in most cases we can help you save, simply be restoring the headlights which you have already. Corporate And Event Detailing Any Occasion! The Auto DetailingPRO providing Special Events Detailing Program. 100%mobile, on site services when you need them. Friendly, efficient and experienced staff. 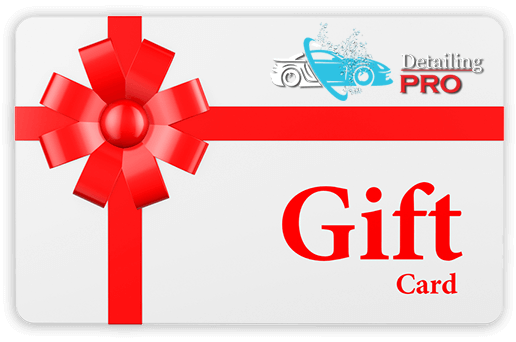 Give the gift of a clean car with the Auto Detailing Bro gift card! Available in any denomination, it’s the perfect gift for any occasion! Simply fill in the information of you and your loved ones and get one step closer to a beautifully detailed car! Auto Detailing Pro is proud to stand behind our work, our services and crew. We love what we do and want to make sure you love what we do too! Whether you order our express wash or complete New Car package we 100% guarantee your car will get the best treatment with industry standard techniques and equipment. Book your auto detailing with us and experience the Auto Detailing Pro difference. Our mobile detailing packages start from $99 Contact us today to book your appointment. 100% mobile car detailing in Toronto and the GTA. Do you want to go back in time to the days of pristine upholstery, a sparkling dash, and that all important new car smell? If so, our $99 interior detailing package deal is just what you are looking for. After booking your appointment and letting us know where you need us to be in Toronto, we’ll dispatch a professional cleaning team to you asap. Using a high-strength vacuum to eliminate dirt and debris from your carpets, upholstery, and door jams, we’ll then shampoo and steam clean your interior in order to help turn the clock back finally. Cleaning and removing even the most stubborn stains, we will revitalize every inch of your car interior, including your roof liner, mats, and much more. Even better, you will be able to drive away the same day feeling like you are in a completely different driving seat. Whether you are getting your Toronto car ready for resale or simply want to make a more clear-cut statement on the highway, our showroom ready detailing service can help. We wash and deep clean windows, mirrors, and wheel trims. 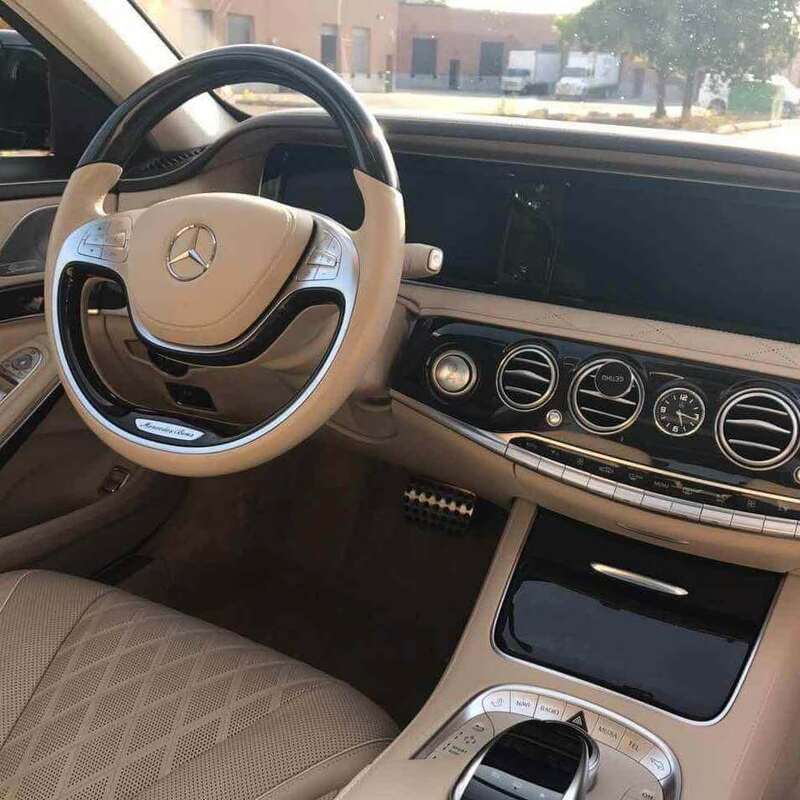 Our valeting and interior car cleaning experts will then get to work shampooing and steam cleaning your driver's cabin and trunk, paying special attention to even the most ingrained upholstery and carpet stains. Capable of revitalizing leather upholstery and wood inlays, we use only the most suitable cleaning detergents for your car interior. At the same time, we use a high-strength vacuum to eliminate every speck of dirt from even the hardest to reach places in your vehicle cabin. After re-dressing all plastics, we then condition all fabrics to the highest possible standard in order to restore your vehicle interior to a state which is as close to new as possible. Nothing can restore your Toronto car to near pristine visual condition better than a full exterior detail. This is why for just $200, our cleaning teams will use an auto detailing claybar to remove even the deepest and most pitted in dirt from your car’s bodywork. Claying is non-abrasive and will free your car exterior of even the most stubborn stains and particles. To really get your motor looking as good as it did when it was new, our Toronto cleaning team will buff and polish your exterior paintwork to the highest possible standard also. 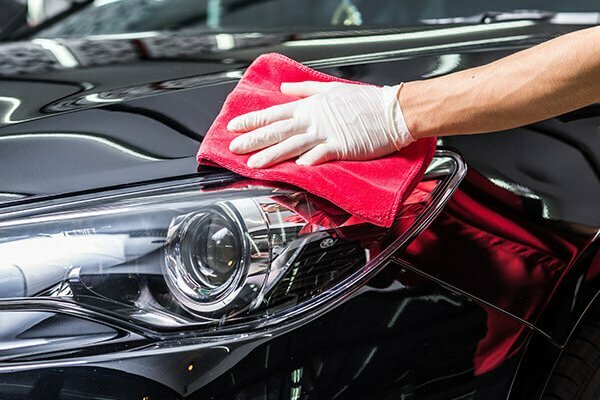 Once we have buffed and polished your vehicle, our exterior car detailing experts will wax and seal your paintwork in order to prolong the high visual appeal of your car body for as long as possible. Finally, we will then dress and shine all plastics, leaving your car looking literally as good as it did the first time you turned the key in the ignition. Do you love your car but hate how you have let your interior and exterior detailing slip over the years? If so, we can help you turn the clock back finally. As part of our most fully featured interior and exterior detailing service, we will use an auto detailing claybar to remove even the most pitted in dirt from your vehicle exterior. After claying, we will then buff, polish, and wax your car paintwork before moving onto your windows, mirrors and vehicle interior. 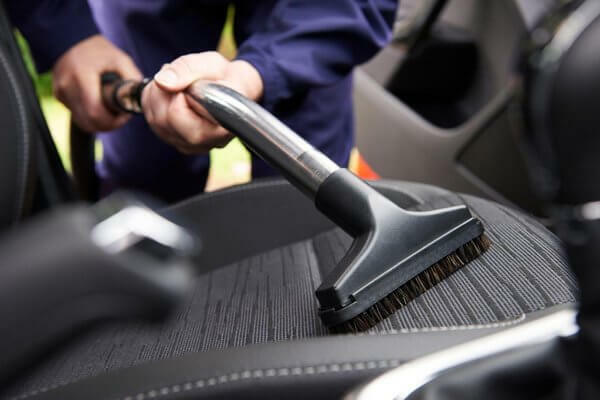 Using a high-strength vacuum, steam cleaning, and shampooing, we will spend a total of three hours going over every inch of your car cabin, trunk, and exterior. 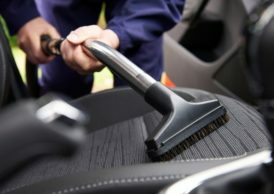 The result will be the removal of even the most stubborn stains from your seat upholstery, roof liner areas, and carpets. Even better, we will clean and restore your headlights, before also attending to a hundred and one other specifics designed to make your car look and feel as good as new as possible. At Auto Detailing Pro, we don’t just provide superior detailing and valeting. Instead, we treat every vehicle which we work with with the highest possible level of respect. We use only the safest possible detergents and shampoos in order to be as kind as possible to both you and your vehicle upholstery. We love what we do and we love helping our Toronto clients drive more safely and more confidently than ever before. This being the case, help us help you turn the clock back finally and book your first interior or exterior detailing appointment today.